Bull Market Entertainment was founded in 2005 by Hal Schwartz. Based in Los Angeles, the company's mission is to produce motion pictures in a range of genres that are smart, affecting, and feature strong characters at the heart of the story. Bull Market's third film, Authors Anonymous, will be distributed in North America by the partnership of Screen Media Films and Starz Digital. The film will be released on VOD & iTunes on March 18, 2014 and In Select Theaters on April 18, 2014. 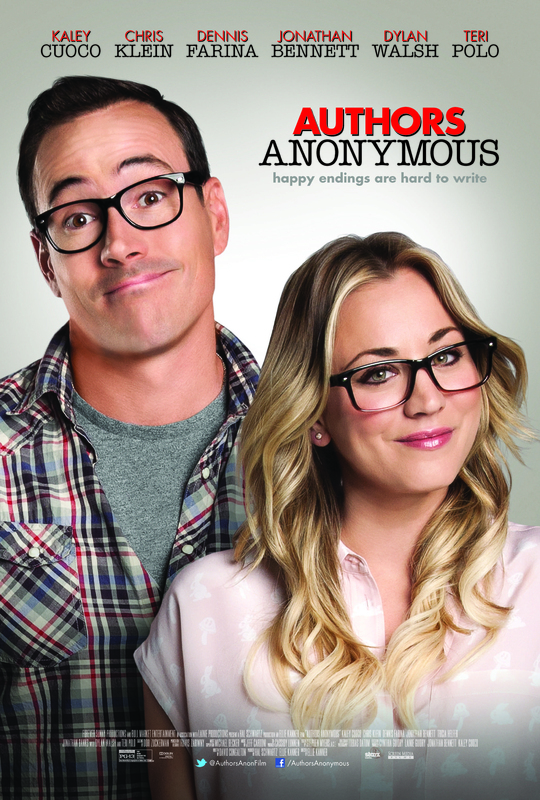 TheWrap.com has the story: Kaley Cuoco Comedy ‘Authors Anonymous’ Acquired by Screen Media, Starz Digital. The film is a co-production with EKZ Productions. Once again, producer Hal Schwartz teams up with Ellie Kanner. The film stars Kaley Cuoco, Chris Klein, Teri Polo, Dylan Walsh, Dennis Farina, Jonathan Bennett, Tricia Helfer, and Jonathan Banks. Spotlight Pictures will distribute internationally. Bull Market's second feature Wake was directed by Ellie Kanner and written by Lennox Wiseley. It stars Bijou Phillips, Ian Somerhalder, Jane Seymour, Danny Masterson, and Marguerite Moreau. Wake was released domestically by indie studio eOne Films on DVD and digital platforms and is in distribution internationally from Screen Media. The film's TV premiere was on premium cable network Showtime and it later also appeared on Starz. Wake premiered to a sold-out audience of 1,100 people as the Opening Night Gala event at the 19th edition of the prestigious Cinequest Film Festival in San Jose, CA. Bull Market’s first film was crazylove, which was directed by Ellie Kanner and written by Carol Watson. crazylove stars Reiko Aylesworth, Bruno Campos, Marla Sokoloff, Greg Germann, Meat Loaf, and JoBeth Williams. The film premiered at the Hollywood Film Festival and the worldwide rights were acquired by PorchLight Entertainment. crazylove had its American broadcast premiere on Lifetime. The director’s cut of the film was released on DVD by MTI Home Video. To date, crazylove has been sold in over 85 international territories. Projects in development include Sisters in Crime, which was written by Wake writer Lennox Wiseley and will be directed by Adam Stein, and Bitter, which was written by David Zuckerman and will be directed by Ellie Kanner. Copyright © 2007-2014 Bull Market Entertainment, Inc.